You spoke, we listened. We went into the vault and brought back something that was undeniably one of the greatest creations Storm has produced to date. There’s been lots of buzz about the limited-release of the legendary Marvel Pearl. Fans of this bowling ball jumped for joy at the chance to throw it down the lanes again. #StormNation was buzzing with memories of achievements that came with this fan favorite. We’ve read your stories and shared your excitement as you threw your first shots down the lane with your new Marvel Pearl. 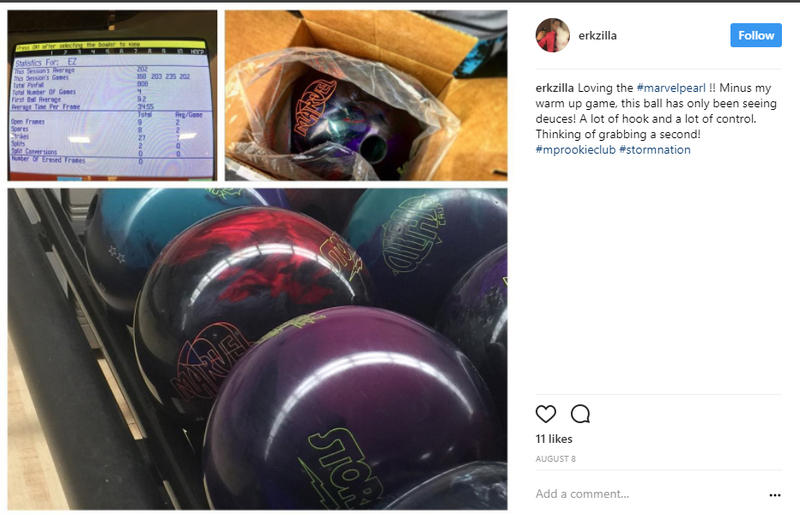 As we traveled to Bowl Expo, Junior Gold, trade shows, and tournaments over the summer we heard reviews on the Marvel Pearl from bowlers in every state. 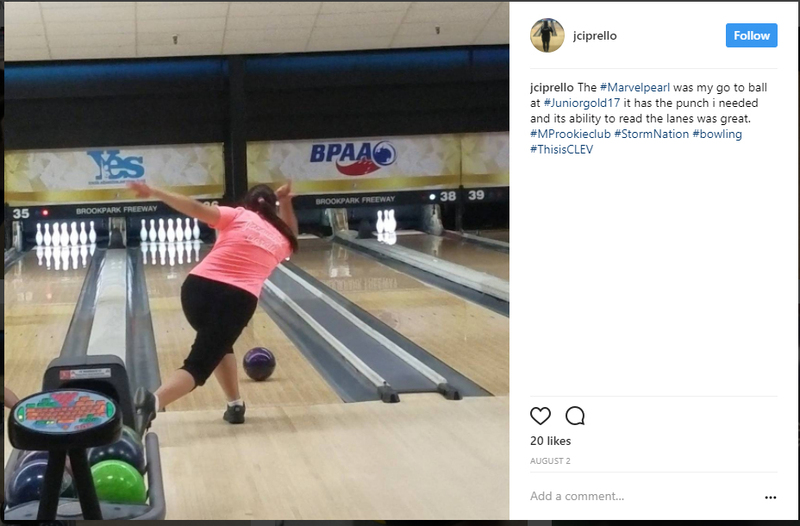 We also realized that there was a community of bowlers who were experiencing the magic of the Marvel Pearl for the first time. We loved hearing these stories and realized that there were probably more out there! That’s when we created the #MPRookieClub. This “club” is for all those bowlers who didn’t drill up a Marvel Pearl the first time it was in circulation but got their hands on one this time. 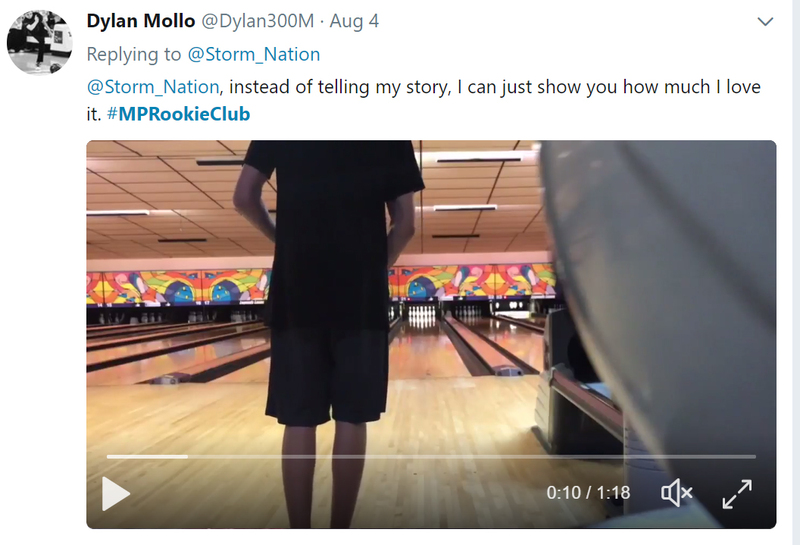 These rookies have been sharing stories on social media for the last few weeks and we wanted to share a few of their reviews with #StormNation. Some bowlers just can’t get over the ball motion. “Love my new Marvel Pearl! Smooth roll right into the pocket. Great forgiveness. Does not disappoint. I can tell that I’ll be rolling this one for a long time to come. 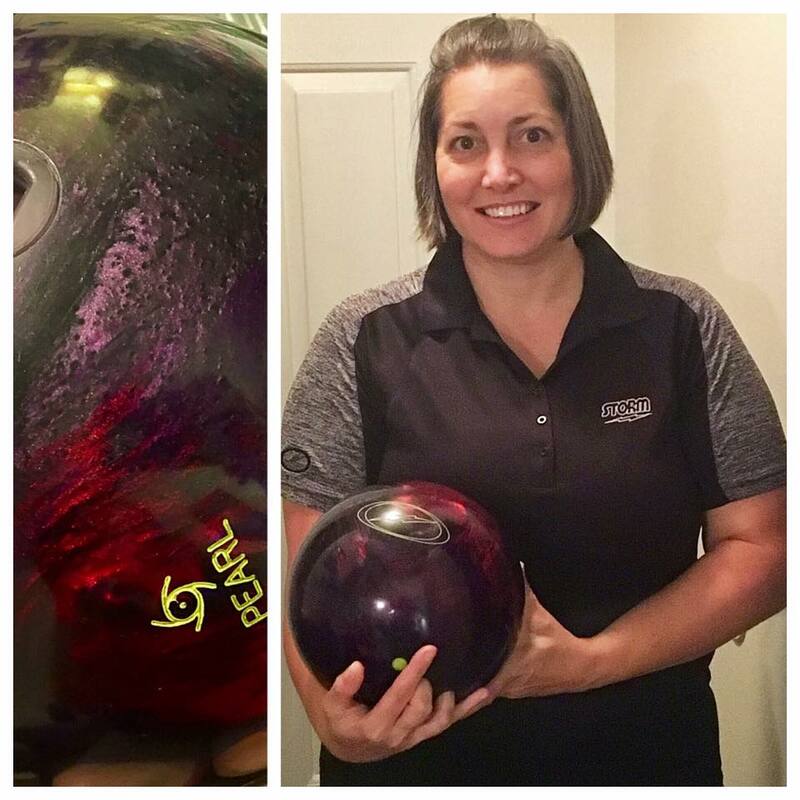 Thanks Storm Bowling!” -Joyce K.
Some bowlers are taking it to tournaments to try it out. Some bowlers just can’t argue with the scores. Some bowlers are annoyed they waited so long. Some bowlers just couldn’t put it into words. Are you drilling up a Marvel Pearl for the first time to start off your season? It’s not too late to join the club and we want to hear from you! Post your a photo or video on Facebook, Twitter, or Instagram describing your experience with the Marvel Pearl. Don’t forget to post it with the #MPRookieClub so we can see it too! One lucky fan will win a new Storm Spotlight Polo to wear on the lanes. Let’s see those stories! Winner will be chosen September 8. Bring back the iq tour pearl!!!!!! !